« Tiarella ‘Sugar and Spice’ and everything nice. Great Foliage plant! With all the Hydrangeas starting to show their colors, Cityline™ Paris Hydrangea (Big Leaf Hydrangea) is the one that is sporting the darkest of pinks.The compact habit of the Cityline series allows them to fit into almost any garden space you have available. 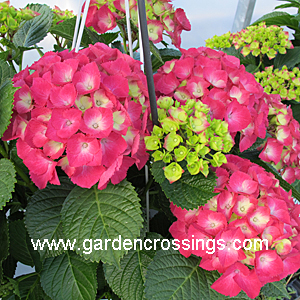 Cityline™ Paris Hydrangea standing a mere 3foot tall and getting the same width this little girl has loads of big flowers that display a lot of color. The Cityline Series blooms on old wood so be sure not to trim them back in the fall or spring. 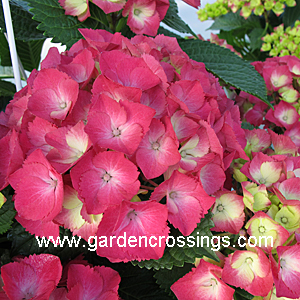 Cityline™ Paris Hydrangea is another great introduction from Proven Winners Color Choice Plants. Posted in Shrubs, What's Blooming?